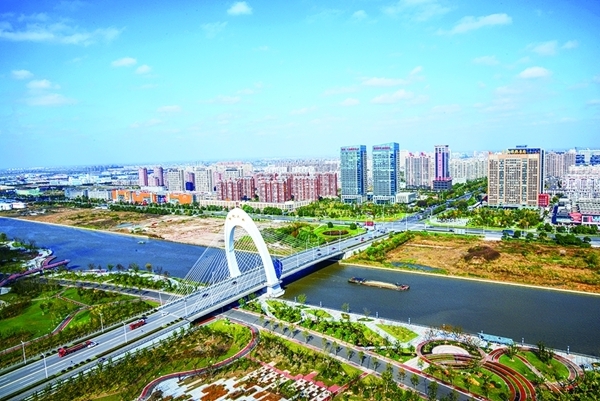 With the Huanghai Sea to its east and the Yangtze River to its south, Tongzhou district is a land of renown flowing with milk and honey and blessed with a clement climate, resource abundance and financial affluence. Throughout the ages the locals have worked from dawn to dusk, singing of labor, love, and their ancestors. They sing as well to record their sufferings and struggles and to entertain each other. The Tongzhou folk songs thus came into existence. The folk songs are a faithful account of the bittersweet lives of Tongzhou district’s ancestors and a condensation of their thousands of years of wisdom and diligence Situated on the edges of the Wu and Chu regions, Tongzhou district is where the two cultures meet and clash, integrate yet remain relatively discrete. The coexistence of the two cultures is what gives Tongzhou folk songs their distinctive local characteristics, where motifs of both Wu and Chu folk music can be identified. The content of Tongzhou folk songs is free and broad. The songs are usually improvised, composed and performed on the fly and rich in local features and appeal. Found in manual labor, love, sacrifice, marriage, funerals and other social activities, Tongzhou folk songs are omnipresent. In terms of forms of expression, Tongzhou folk songs encompass Haozi (work songs), Shan’ge, yangko, boat songs, nursery rhymes, ditties, and customs and ritual songs. With regard to style, the tunes are long, sturdy, intense, with elasticity and often sharp pauses, all reflections of the inherent characteristics of folk singing. The most representative ones are the Haozi with different styles resulted from different forms of labor. Tongzhou folk songs are the flowers of work and life, and as such they are performed and enriched. They are closely related to the spiritual and material lives of the locals and have become an integral part of the Tongzhou people.